Dette LED-takpanelet er svært praktisk og fungerer like godt som kontobelysning som hjemme i boligen. Den store flaten i kunststoff sørger for svært godt lys, og takket være LED-teknologien er strømforbruket lavt. Is this light surface mountable or do we have to go up in ceiling like 9978018? The panel will be mounted to the ceiling surface. I’ve converted my dining room into a sewing/ workroom and needed some decent lighting. The light is flush with the ceiling and gives a bright illumination without being too cold. Perfect for cutting fabrics! Love this light. 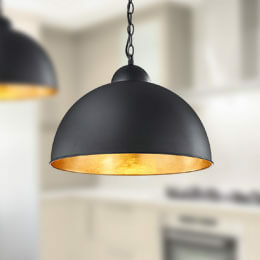 Looks great in my utility room and gives off a lot of light. Looks quite commercial but that was the look I wanted in this functional space.